April Shandor, an expert in Second Language Acquisition, is giving students who are pursuing a Master of Arts in Translation & Interpretation the opportunity to learn new ways of studying SLA. “This class has opened a new way for me to look at language learning. 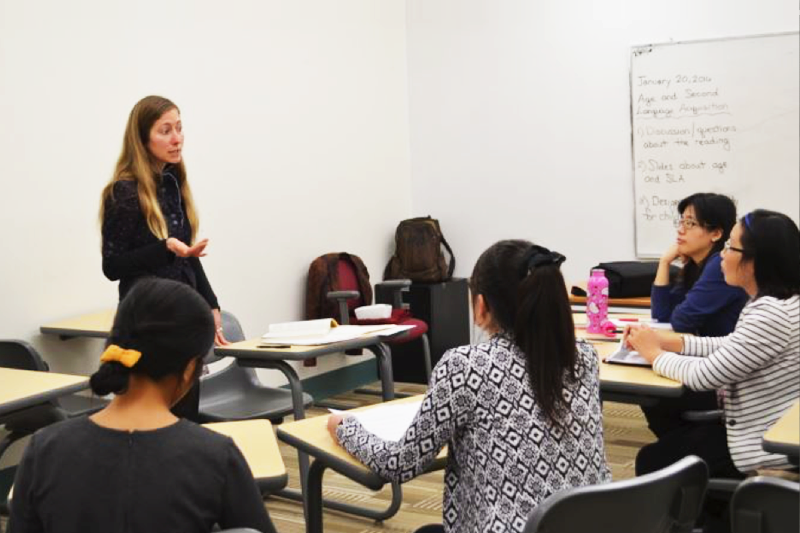 I never knew that language learning involves so many factors, and all of them are closely related; that is fascinating," said MATI student Pricilla Li. "I can’t wait to know more, and I am sure that it will help me a lot to improve my skills of learning English." Shandor’s TESOL (Teachers of English to Speakers of Other Languages) course provides a comprehensive overview of the theoretical thoughts that have shaped language teaching today. There will also be lessons on the pedagogical relevance of SLA research later this quarter.